Which Consumer Product Maintained An Unusually Stable Price For Almost A Century? The English Dialects Found Within Ireland Are Collectively Referred To As? Consumer goods are subject to all sorts of price-fluctuating factors, including the cost of raw materials, consumer demand, and inflation, just to name a few. Given the volatility of markets then, it’s an economic curiosity that from the time it was introduced in 1886 until 1959, the price of a single serving of Coca-Cola (6.5 ounces) was a nickel. Whether you bought it the first day it was served in an Atlanta soda shop in 1886, at a Detroit grocery store in 1935, or from a Brooklyn vending machine in 1959, you paid a nickel. While the stability can be attributed to a variety of things, including aggressive bottling contracts, excellent advertising and brand recognition, and the widespread adoption of vending machines (and prices that needed to be set at the cost of the available face coins like a penny, nickel, dime, or quarter), it still remains curious in light of factors outside the control of the company such as inflation, war-time shortages of various production materials, and a shifting and expanding soft drink market. Still, despite the remarkably stable run, all good things come to an end. After World War II, rising inflation pushed the price of a bottle of Coke up to 6 cents. 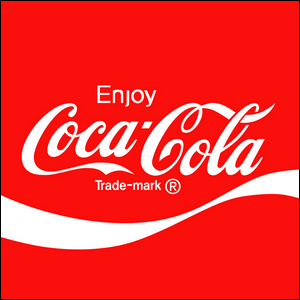 By 1951, Coke dropped all references to the nickel price point from their advertisements, and in 1959, the last of the nickel Cokes was sold, ending a remarkable 73-year run.